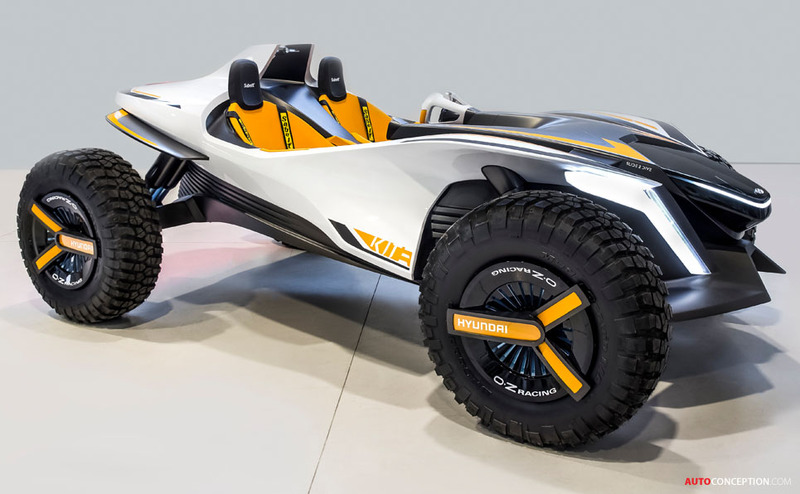 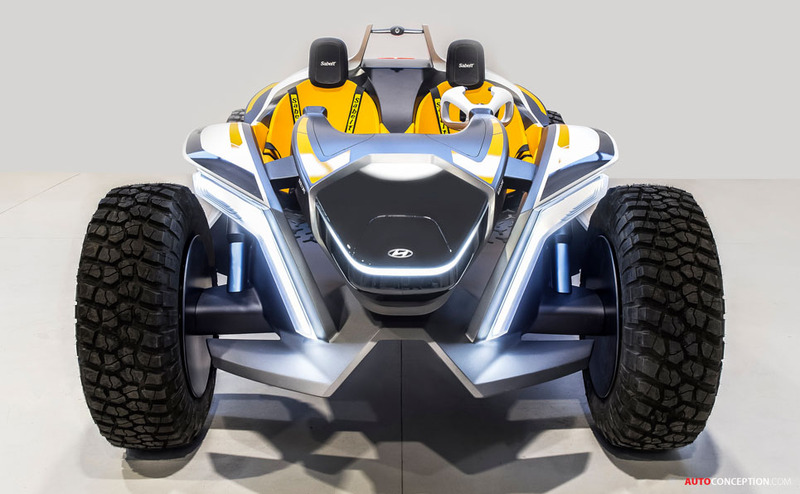 Revealed at this year’s Geneva motor show, the Hyundai Kite is a doorless, roofless and windowless vehicle that is claimed to drive both on streets and over water. 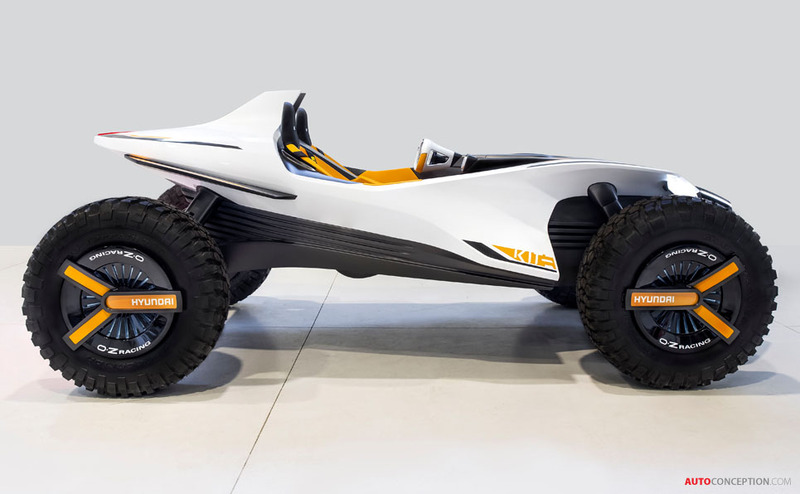 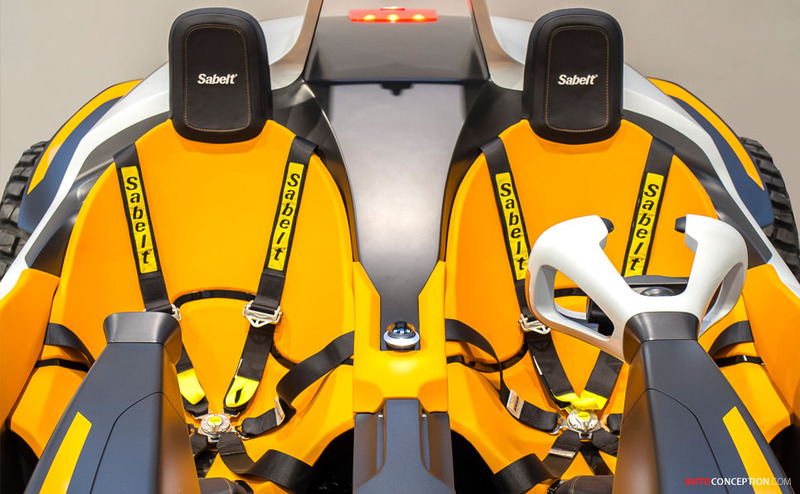 That’s because the futuristic-looking two-seater is able to transform from a lightweight dune buggy into a single-seater jet-ski. 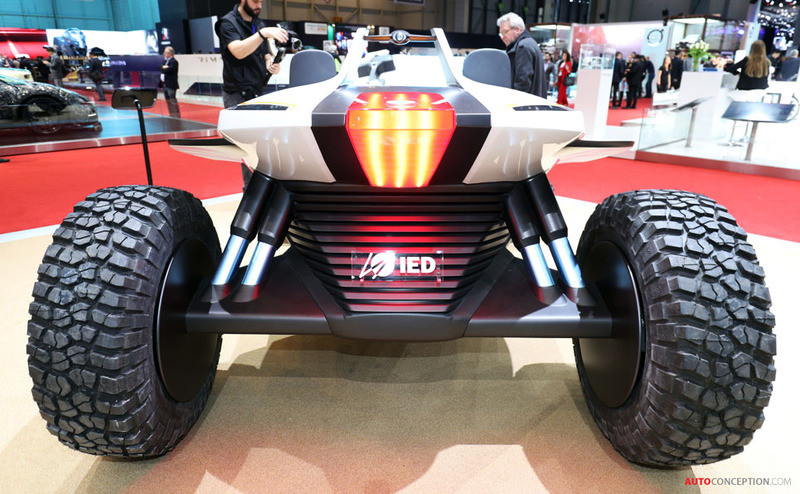 Created by the Korean manufacturer in partnership with 15 transportation design master’s course students from the Istituto Europeo di Design (IED), a well-known Italian design school, the vehicle consists of a monocoque chassis with a length of 3,745 mm and a height of 1,455 mm. 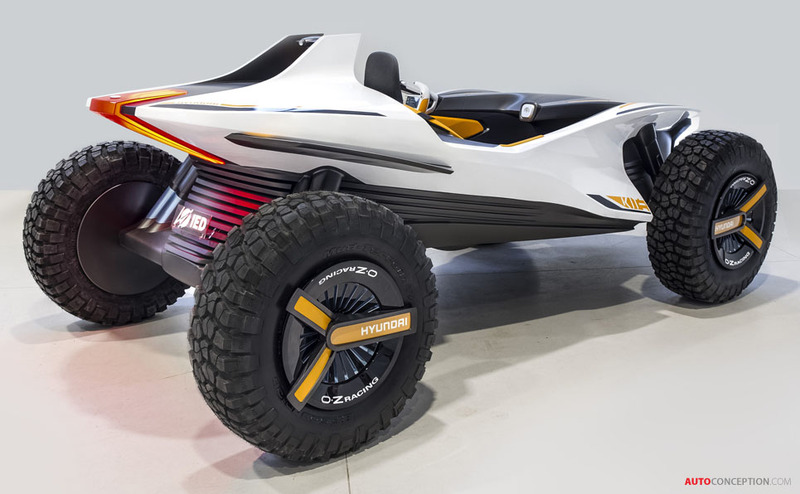 It also comes fully equipped with electric propulsion, with four brushless engines placed inside the wheels and a water jet turbine for travelling on water. 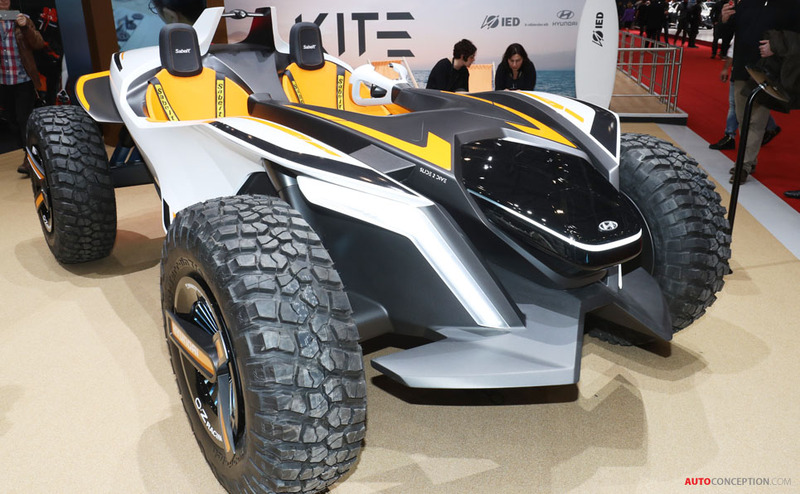 Although the Kite is not intended for production, this is the second joint project between designers from Hyundai’s European R&D headquarters in Rüsselsheim, Germany, and students from the IED, with the previous collaboration resulting in the development of the PassoCorto, an ultra-lightweight sports car concept, in 2014. 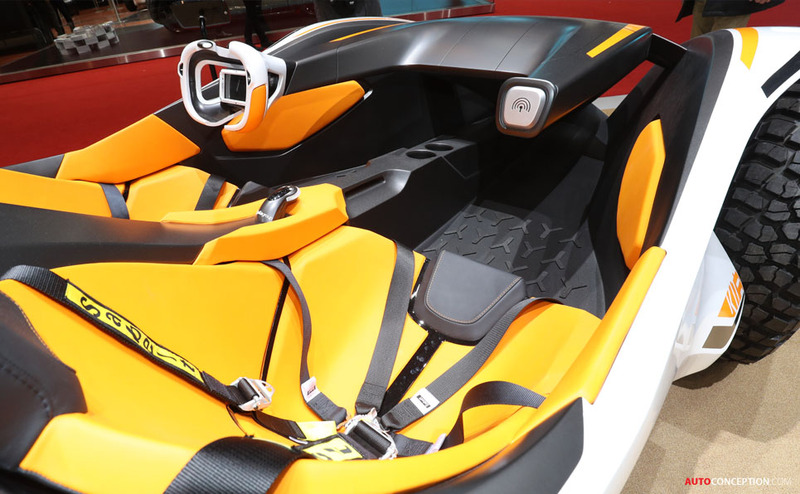 Hyundai says such projects are meant to further strengthen the company’s commitment to the European region, as well as to source and nurture future car design talent.